Refinishing your basement means combating tough enemies: moisture and cold. If you want to be able to use your basement as a playroom, guest bedroom, apartment, or theater, you need to first understand why your basement is so cold before you begin with measures to warm it up. Viewing a basement prior to finishing, you may cast an evil eye on below-grade walls and the floor. Surely these broad expanses contribute to all of the cold that you feel, right? Somewhat. The greatest offender, though, is ground-level cold. Walls that extend above grade, vents, ducts, windows, and more act as "freeways" that allow cold to cascade into your basement. One poorly insulated dryer vent and duct will chill your basement far more than an entire below-grade basement wall. Basements are inherently damp places, even if you don't have active sources of water. Cool temperatures plus humid air makes one feel cold. Humidity can create other problems, as well. Cold foundation walls subjected to 20-30% relative humidity will cause condensation, which can lead to mold, mildew, and rot. 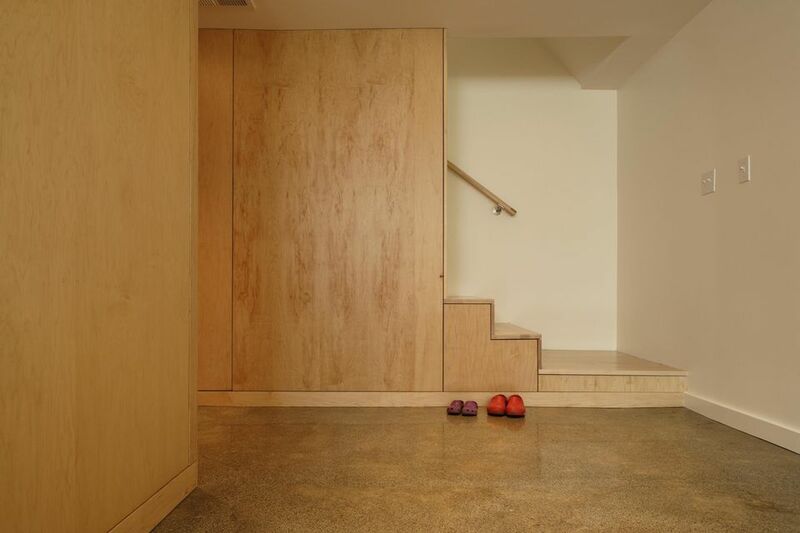 Winter months make spring in your basement so chilly. Studies in Canada—a nation that knows about cold basements—have shown that exterior foundation wall surfaces take about 3 days to react to changes in outside temperature. At the exterior base of your foundation wall (about 6 feet down), it takes about 69 days to catch up to outside temperatures. Snow: it's just got to make your basement cold, right? Researchers have found that snow accumulated on the ground near your basement walls have almost no impact on basement temperatures. It's only when snow exceeds 2 feet that temperatures in the basement can start to be dramatically affected. That is one reason why temperatures in your basement often feel so...unseasonal. Basement foundation walls can literally be one season behind, transmitting those temperatures into your basement. Do you have a single zone heating system? With this, one furnace supplies heat to both the basement and upstairs. The thermostat is located upstairs. Solar heat gain warms the upstairs during the day but it does not warm the basement. After all, upstairs has the windows, downstairs does not. As a result, upstairs' temperature is higher because: 1.) Heat pumping from the system rises and congregates upstairs; 2.) The added solar heat gain. So, throughout the day, your furnace is kept in check by that upstairs thermostat–to the detriment of the basement. Cool spaces need a long time for heat to build up to become comfortable. By the time you get home at the end of the day and go down to the basement, the cold you're experiencing is the result of a day's worth of reduced heating cycles. If you are the person with the single zone heating system for upstairs and downstairs, it is a big mistake to open/close your heating registers equally. Each room has its own temperature, with its own heating needs. By shutting registers in south-facing rooms that experience solar heat gain, and opening registers in the basement, you can drive more of this valuable heat to the cold places. More to the point, you prevent cold basement areas from experiencing severe temperature dips during the day. These dips are hard to correct when the sun goes down and you want to spend time in your basement den or theater. How do you go about opening and shutting registers on an hourly basis throughout the day? Motorized registers, such as those from Activent or Vent-Miser, do the opening and closing for you. These battery-powered units are individually controlled by a thermostat in each room. When heat rises in the room, the register shuts; when the room cools, the register opens. This helps keep the entire system in better balance.